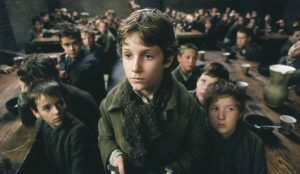 Oliver Twist became famous for these movie lines in his search for more food. But what about your finances? What is the one thing that you need more of? It doesn’t matter if you are on Centrelink benefits or if you are an investment banker earning squillions, you need more of this. It doesn’t matter if you are Gen Y just starting out in the workforce or a baby boomer looking to retire. The one thing that you should be focusing on is so simple you will roll your eyes, yet it is so surprising that we don’t talk about it. Every day, we talk about getting more knowledge, more assets, more returns and more growth. All of these things are extremely useful, but ultimately it is not the one thing we should be primarily focused on. It is not talked about at school. It is not talked about at the university. It is not talked by “traditional financial planners”. It is not talked about around the barbeque. If you want to Master Your Money Now, the number one thing you should be focusing on is INCOME! You can build up your wealth as much as you like, but if you are unable to generate an income from it, it doesn’t matter. We refer to this as being asset rich and income poor. You can build the greatest budget in the world and reduce your expenses down to nil, but if you don’t have a good income it will be in vain. Income is the number one thing you should be focusing on when it comes to building your wealth and living the lifestyle that you want to live. The more income that you bring into your household, the better life you are going to live and the more wealth you will be able to build for you and your family. Are you rolling your eyes yet about how simple this is? I totally agree it is simple, but as the saying goes “it is often a simple thing that screws us up”. When people think they are doing the right thing as that is what they have been taught. But they have been taught to focus on the wrong thing. As an example, have you ever asked yourself or a financial expert, how much in super and/or assets do I need to retire? Is it $500,000? Is it $1,000,000? Is it $2,000,000? The question you should be asking is how much INCOME do I need in retirement? Once we know this, we can then ask how much super and/or assets do you need in order to generate this income. Hang On, I Thought All I Needed Was A Good Budget And Then I Would Be Sweet? If you think this, you have been lied to. Don’t get me wrong, you need a good budget. A good budget enables you to track your expenses to ensure the money coming in is more than the money going out. I will never forget one of the first clients I sat in on as a trainee financial planner. The advisor had given them an income of $200,000 per annum and they were still living way beyond their means! The pinnacle was when the client says “I don’t understand how we are spending all of this money, we have stopped our monthly weekend away to Mildura (which is about a six hour drive from Geelong, total cost for the weekend let’s say $1,000). “Keep this up and you will be bankrupt in five years’ time”. Then you also hear stories about “The Wealthy Barber” who became a millionaire while never earning more than $40,000 per annum. They did it by reducing their expenses down to nil. I totally agree that it is far better long term to earn $40,000 per annum while living off $20,000 per annum than it is to earn $200,000 per annum while living off $250,000 per annum. But in my view, a budget won’t make you rich, it will only stop you from going broke. For the person earning $200,000 per annum, if we are able to reduce their expenses to a very generous $150,000 per annum, they will still have $50,000 per annum to save and invest. In comparison, I would dare say that the people earning $40,000 per annum cannot reduce their expenses any further. They will only be able to save and invest a maximum of $20,000 per annum. You can reduce your expenses to nil and live like a caveman for the rest of your days, or you can enjoy life – you decide. While it is important for you to know how to make an excellent budget (In fact, Master Your Money Now has created an 8-part budgeting course, you can go to http://masteryourmoneynow.com.au/budgeting/ to get started), the next major step for you is to learn how to increase your income. You deserve to be healthy, happy, and in great relationships with your family, friends and neighbour, and for you to do these things without grumbling or stress, you have to start taking action that will help you increase your INCOME – yes, more of this please!